UPDATE MARCH 2018 – THE FOODBARN STUDIO CLOSED DOWN AND HAS JUST OPENED UNDER A NEW NAME – CROFTER’S KITCHEN. SAME FORMULA AS BELOW – BUT SMALLER AND MORE INTIMATE AND LIMITED TO 14 PEOPLE PER MEAL. IT IS NOW THE SOLE VENTURE OF CHEF NICKY. Cost – R795 per person excluding gratuity (5 course food & tea pairing). 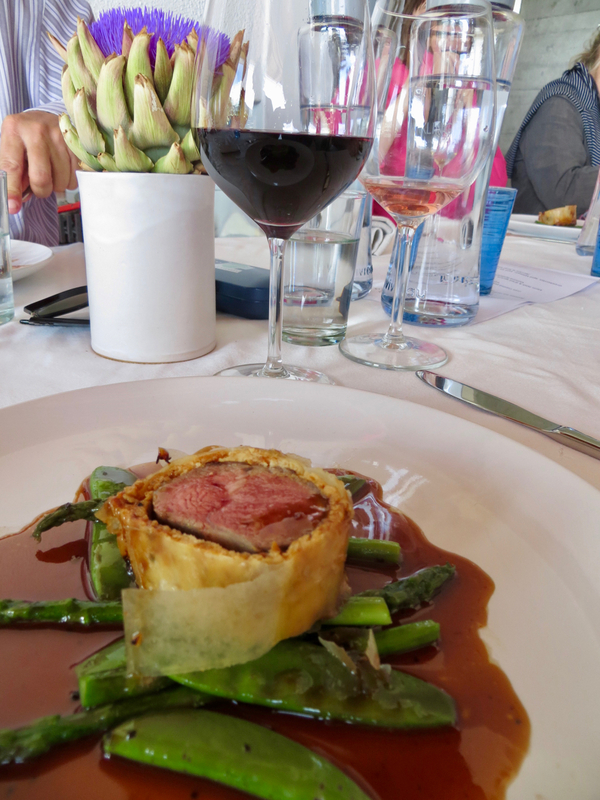 To book contact Chef – Nicky Gibbs, 0837315208, nickygibbs247@icloud.com I tried it out recently and had the most wonderful lunch – so head to this link to check it out! 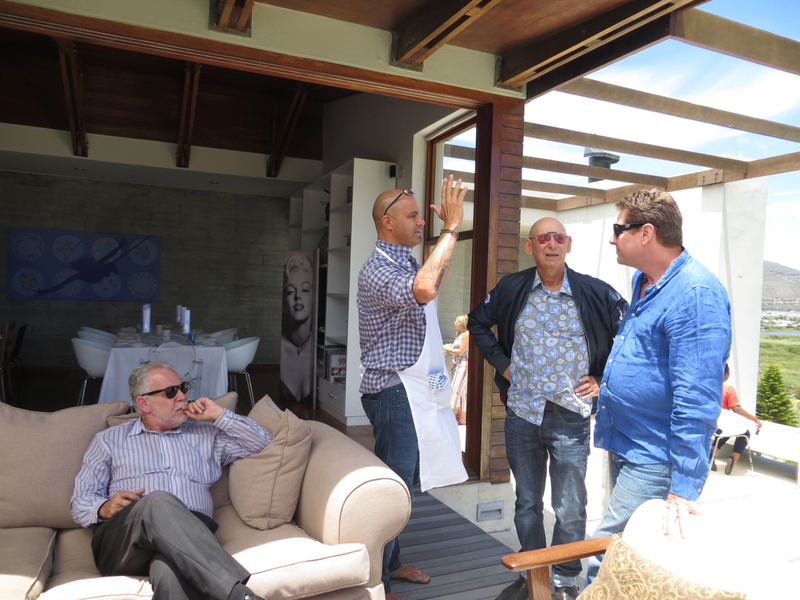 Ever since the closing of The Flagship there has been a gap for an intimate dining experience on the Cape Peninsula. The Flagship was my idea of heaven – 5 courses paired with 5 wines by a passionate chef who introduced each course while you stared at him and the sea view. 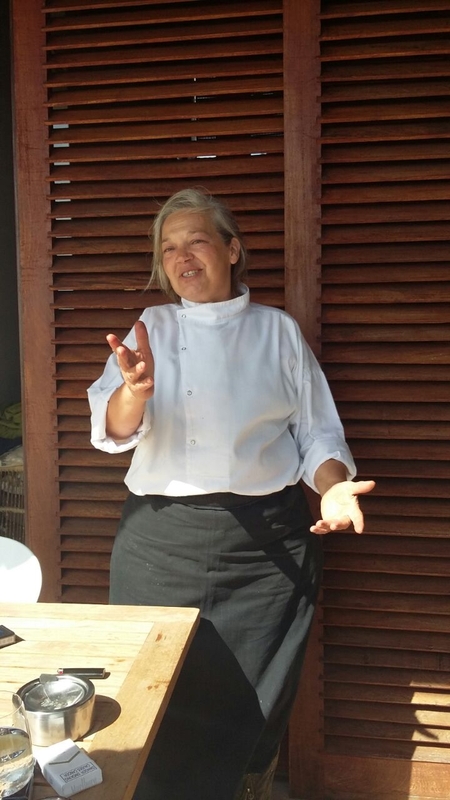 As such I was terribly excited to receive a call from Chef Franck Dangereaux to hear about his latest venture – The Foodbarn Studio in collaboration with Chef Nicki Gibbs. Each month they will collaborate to create a new five course menu that will be paired with five fabulous top wines from top wine makers. 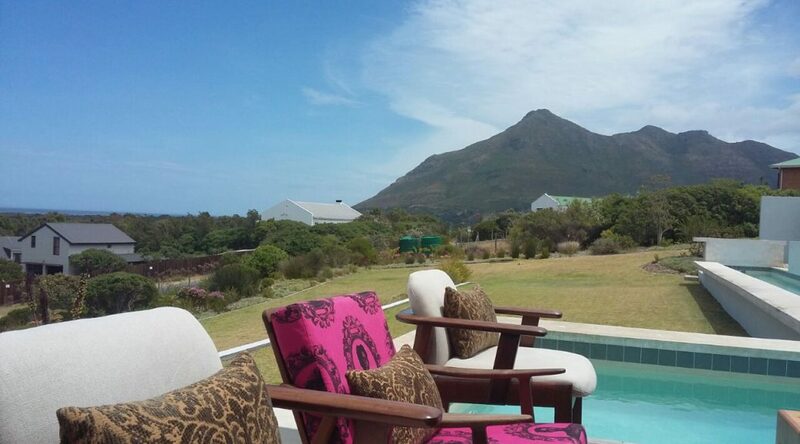 Their aim is to showcase some of the interesting wines coming out of the Cape. Each lunch will be limited to a maximum of 25 people per day. One should try to arrive around 1pm to enjoy the view and a welcome drink. 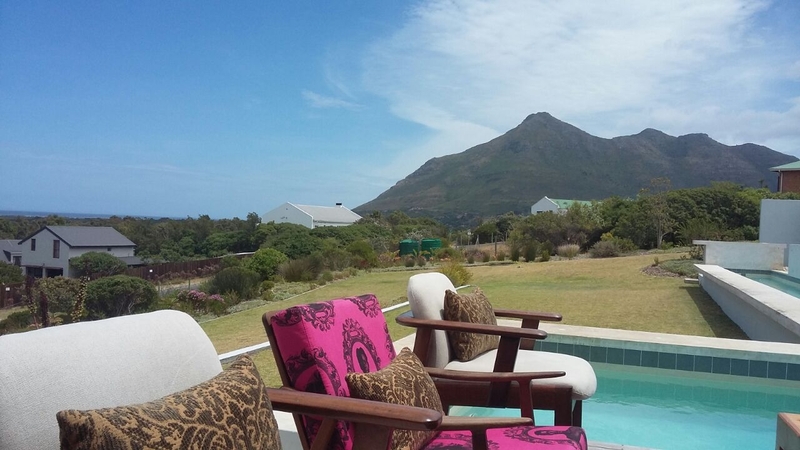 The location is a house on the mountain looking down onto Noordhoek below. Lunch will kick off at around 1.30 and each course will be served at the same time to all the tables. 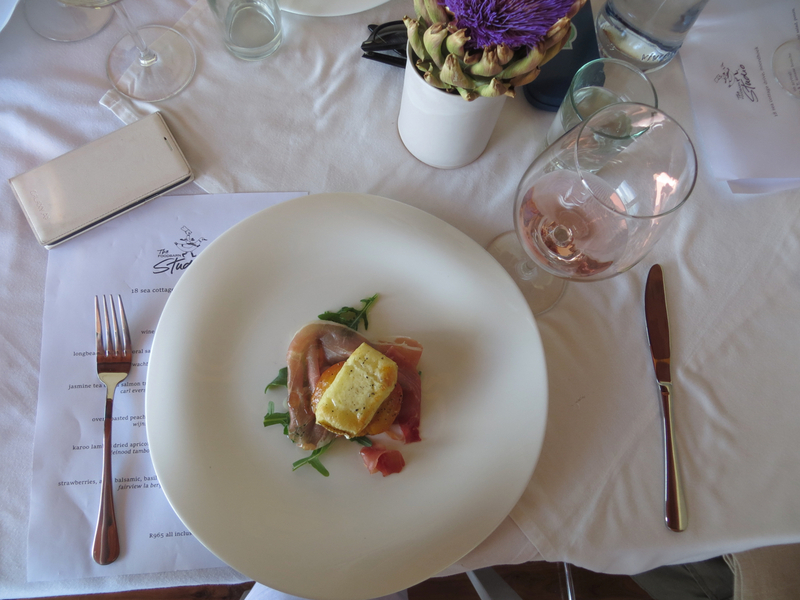 This will allow for Chef Nicki to do a short introduction on each dish and its wine pairing as it is served to you. They will be open Tuesday to Saturday for lunch only – however there is flexibility to book for a group for lunch or dinner on other days subject to availability and the numbers of the group being large enough to make it worth their while! 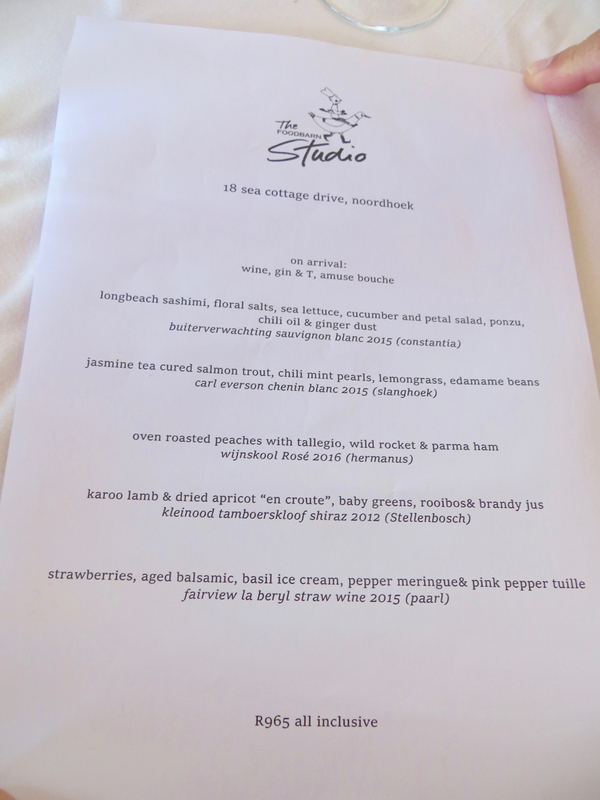 The cost is R965 per person including everything …….welcome drink, 5 courses paired with 5 wines and the gratuity! 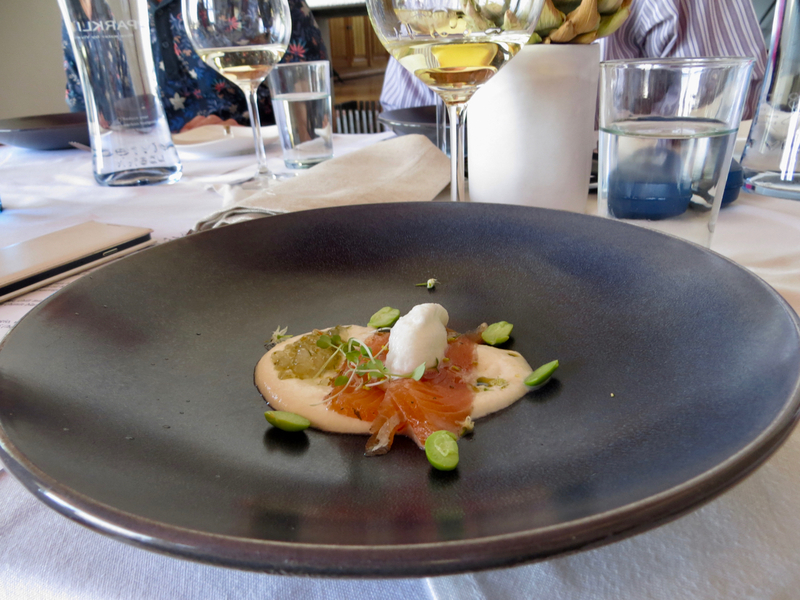 A hidden gem on the Peninsula continues to be The Foodbarn owned by the extremely talented Chef Frank Dangereaux and his partner Pete De Bruin. Chef Franck is the one that put the restaurant La Colombe on the international foodie radar by getting it to be rated as one of the Top 100 restaurants in the World…….and this at a time where South Africa was not really on the map for Foodies from around the world. He later split off and started his own business by buying what was essentially the road side farm shop in Noordhoek. He started with simple lunches and selling fresh farm goods (and great baguettes! 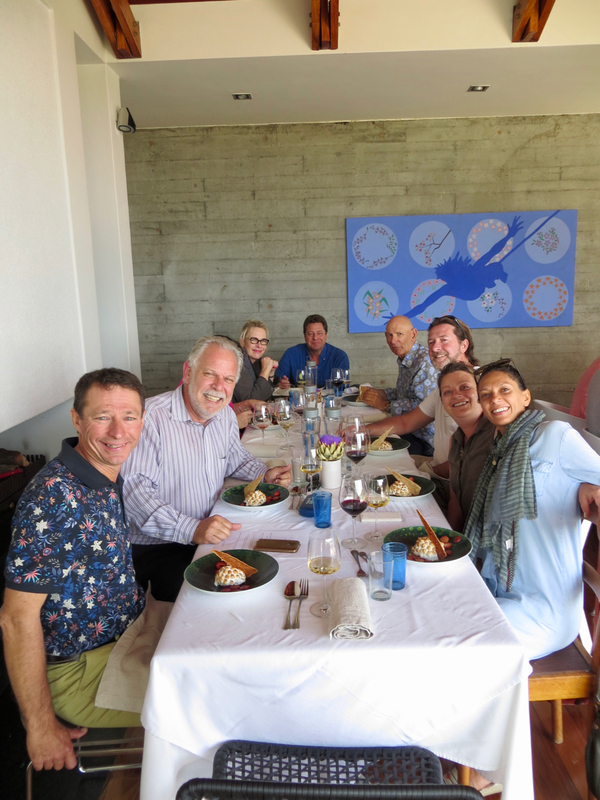 )………perhaps thinking that people would not drive all the way to Noordhoek for fine dining……….as a foodie I quickly followed – a great chef serving lunches for R60? Amazing!!!! The writing was on the wall and Franck and his partner Pete De Bruin decided to start a fine dining spot and to split the deli and country lunch spot from each other. Both have been firm favourites of mine forever! I love the main Foodbarn for taking my guests for the most relaxed fine dining experience of their lives and the Deli for its buzz ,its delicious breakfast, its baguettes, its pies……….and its cakes. Chef Nicky – The Rockstar Chef! This promises to be a great new addition to Cape Town – two of our guides have been lucky enough to experience it and both raved about their experience! I plan to put a booking in place soon to go and relax for an afternoon with a great group of foodie friends! This promises to be a true Cape Town experience – slow dining with local slow food ingredients and a showcase of some of our best wines – I can’t wait!!! Beyond excited by this new addition! Scroll down to see more pics. The Foodbarn Studio – relaxing and enjoying lunch! Chef Franck entertaining the guests!